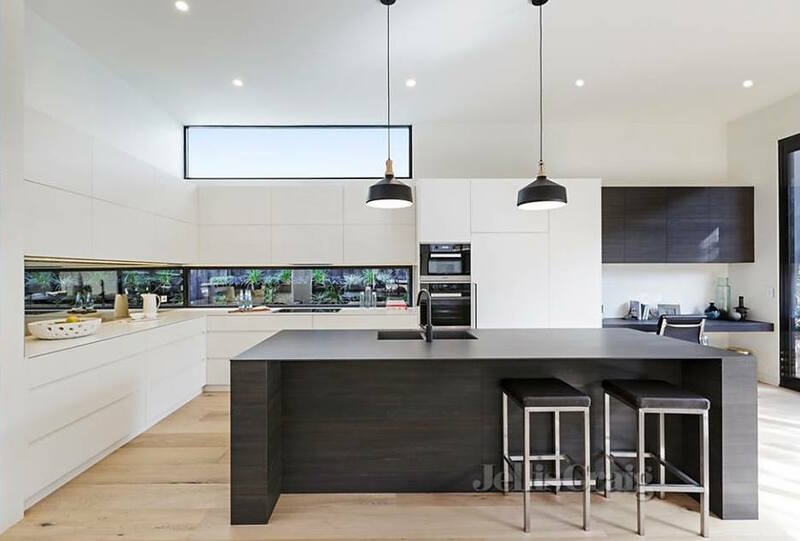 The developer for this renovation ask us to create a sleek, contemporary kitchen and entertaining space to compliment the grand architectural addition to the rear of the home. The window spaces initially informed the elongated shapes and colour blocked elements. 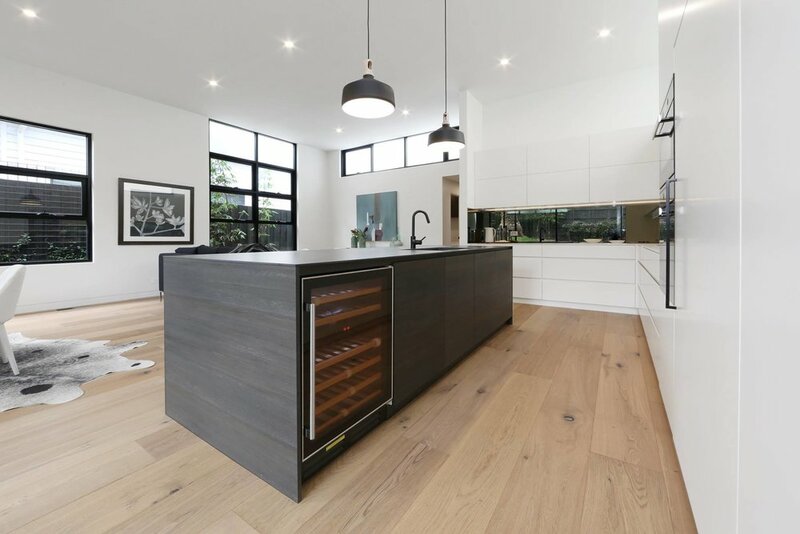 Slim Dekton high performance benchtops and considered joinery lines combine to create a minimal aesthetic. 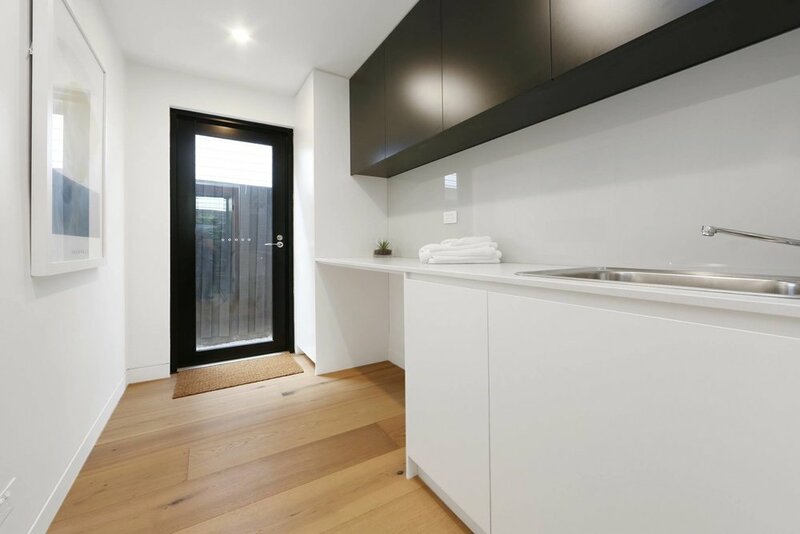 A consisent design principle was carried through to the laundry space.